One of the most important decisions to make about the new workspace, other than the desk of course, is what type of chair do we need/want. 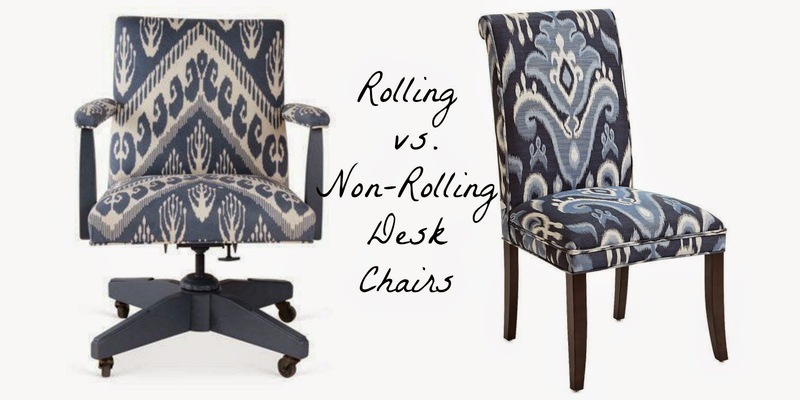 Breaking it down to the simplest terms, there are two options: a rolling chair or a non-rolling chair. How can a decision be this hard? Especially when it seems so simple. As per usual, Emily Henderson did a rolling chair perfectly. It's cute, sculptural and modern all by itself. Then she went and had it reupholstered and now it looks even better. So smart. So simple. We have wall to wall carpeted floors, will the wheels destroy the carpet? Rolling chairs can be found at all price points, but I would want to customize mine. Cost of chair + fabric + labor = expensive? 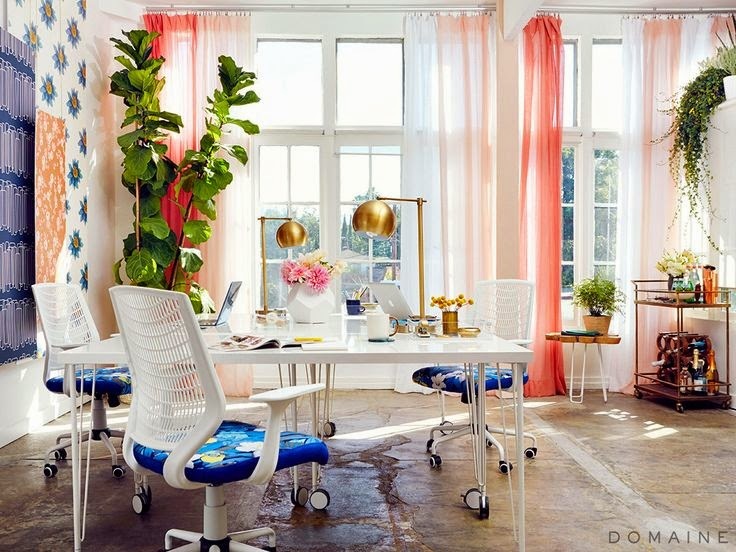 Our workspace doubles as a guest room, a rolling chair doesn't really scream "peaceful nights rest". So it turns out Emily Henderson can also do a non-rolling chair in an office, too. I love, love, love this blue velvet tufted wing back, paired with the natural wood, it's just yummy. Will the immobility of the chair drive me crazy? Getting stuck on the carpet, etc. 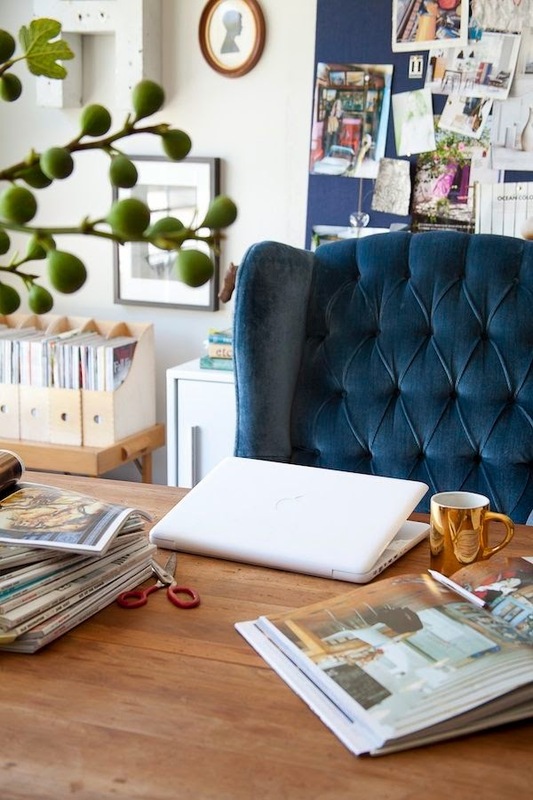 Will an upholstered chair take up too much visual space in an already over stuffed cramped room?